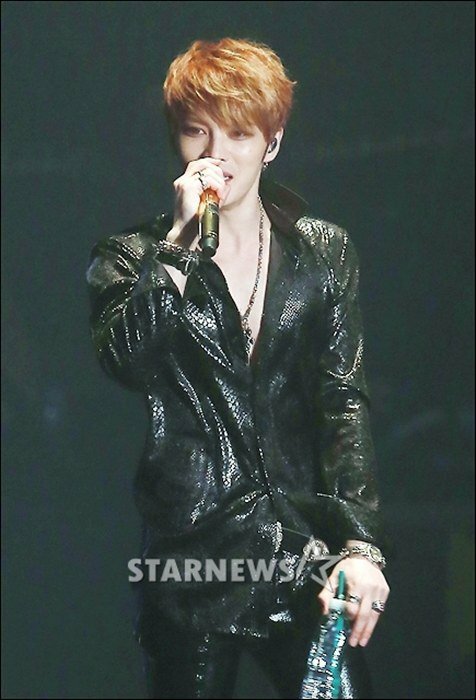 Kim Jae-joong, "I'll be thinking about everyone"
A Chinese Media reported an interview with Kim Jae-joong on the 31st. Kim Jae-joong participated in lyric composing in his new album that's coming out after he joins the military. To the question of where he got his influence, he said, "It all comes from myself. I don't have a particular way". "I use everything I see and hear to write songs. Therefore, the lyrics are not commercial. They are not always good when you listen to it but they are good to hear on certain days or days when you're feeling a certain way". "I don't have plans to be public about my relationships. Someone will get hurt in the process". "I want to cherish every day before I join the military. I wanted to spend each day with more meaning, but I couldn't. People always regret what's in the past. There's not too much time to do more now". "I am glad though that I got to spend a few of my last days with precious people and I think the concert is the most beautiful thing I've done so far in my life". To his fans, who will be waiting for him, Kim Jae-joong said, "Hello everyone, this is Kim Jae-joong. I will be back soon. So stay where you are. Be healthy and I will be thinking of you. Think of me too". Meanwhile, Kim Jae-joong was enlisted in the army on the 31st. He will be discharged on December 30, 2016. "Kim Jae-joong, "I'll be thinking about everyone""
Lee Byung-hun and Lee Min-jung's son...who does he look like?